Fall is here and so is football season, but not all tailgating recipes need to be greasy and unhealthy. 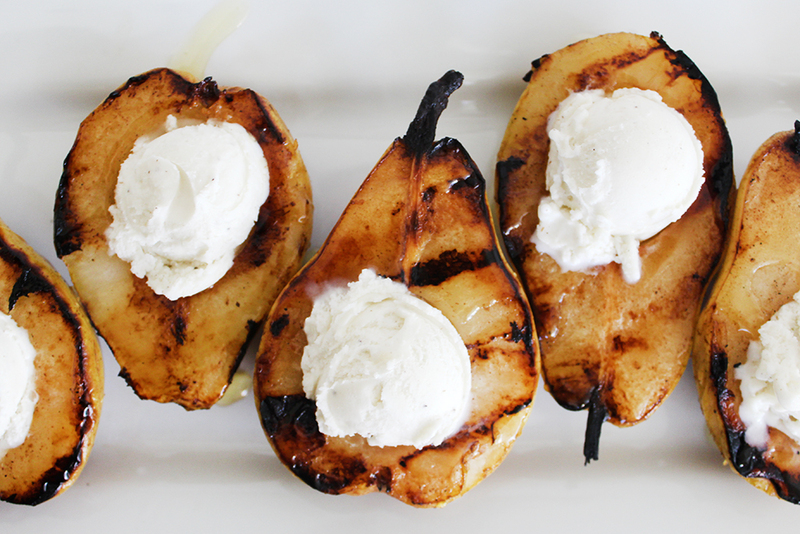 These fresh pears are cored, sprinkled with cinnamon and brushed with butter, then grilled to bring out their delicious flavor. 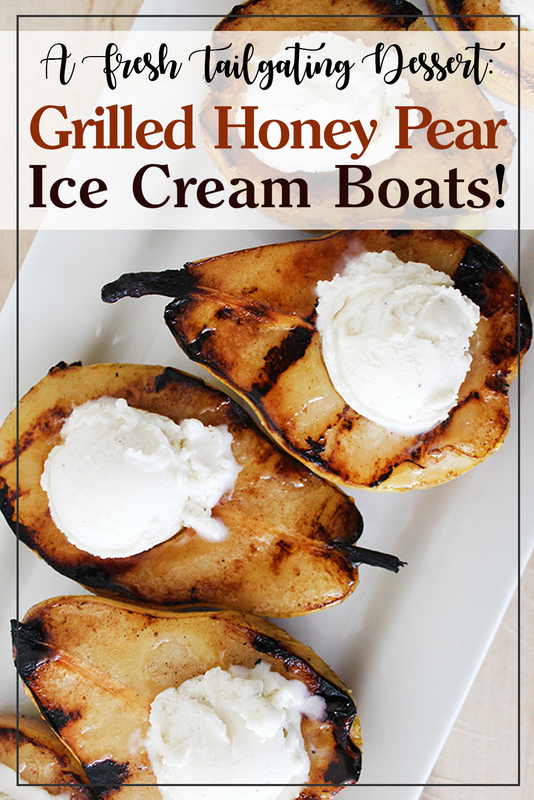 They're finished with a drizzle of honey and a small scoop of vanilla ice cream and it couldn't be easier! 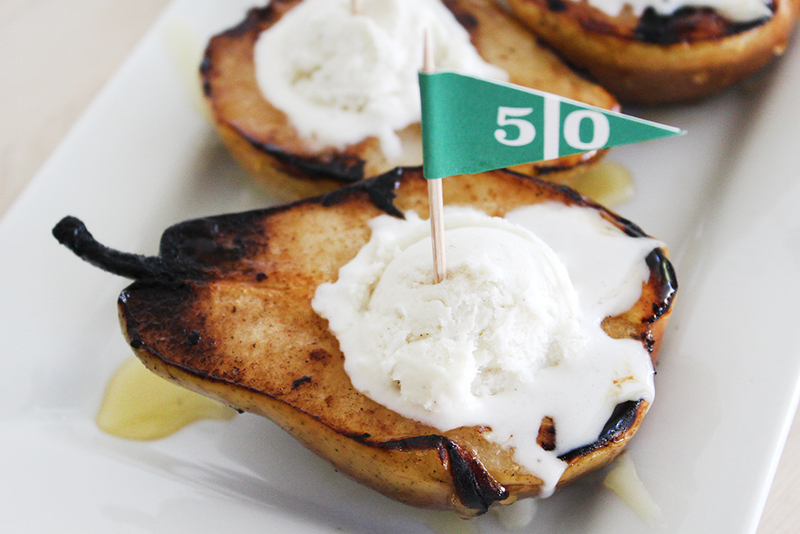 This dessert can be popped on the grill for a light and refreshing finish to all of the heavier tailgating fare. I'm also giving away $50 in Save-A-Lot gift cards so you can stock up for your tailgating bash! 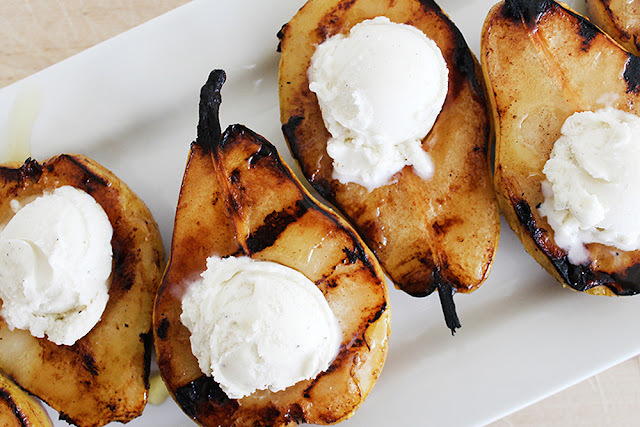 If you've never grilled fruit before, you have to give it a try! 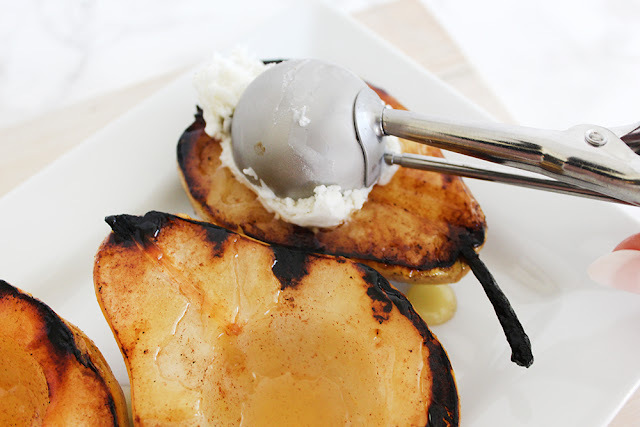 It caramelizes the natural sugars and really gives it a depth of flavor you can't get any other way. 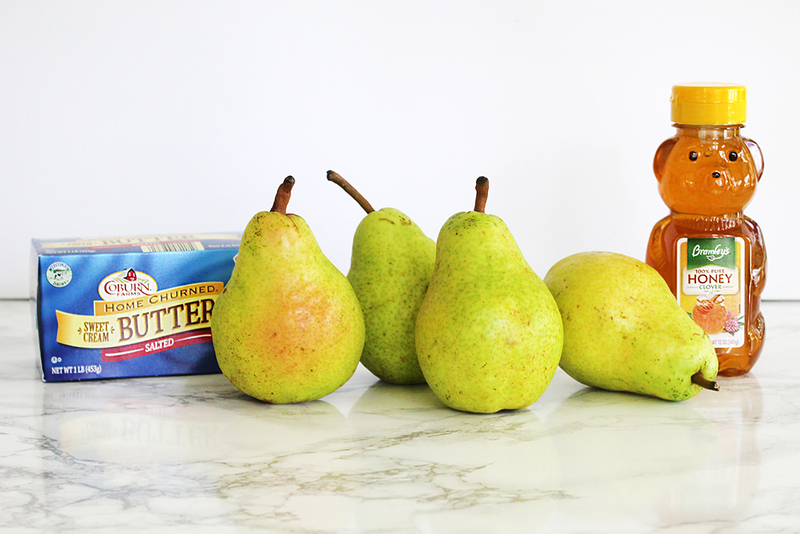 There are certain fruits that just scream "fall" and pears are one of them. I'm using juicy Bartlett pears in this recipe but you can use any variety you like. 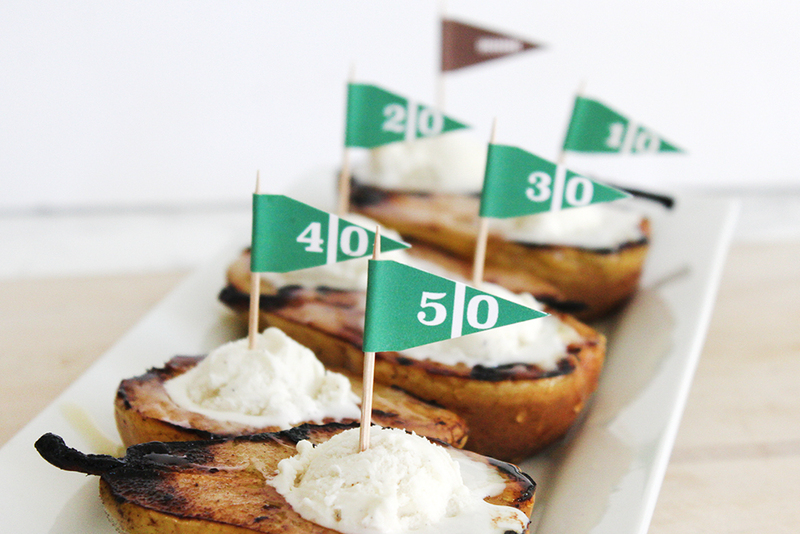 This is a healthier tailgating recipe that still 'scores' big on taste (womp, womp.) If you really want to get into the spirit, you can print out my Game Day Straw Flags here and put them on toothpicks! All of my ingredients came from Save-A-Lot, where you can save up to 40% on all of your tailgating supplies including produce, fresh meat, groceries, paper plates, and even the charcoal. #SwitchAndSave! They're convenient and have all of the ingredients you need to have a fresher tailgating experience. 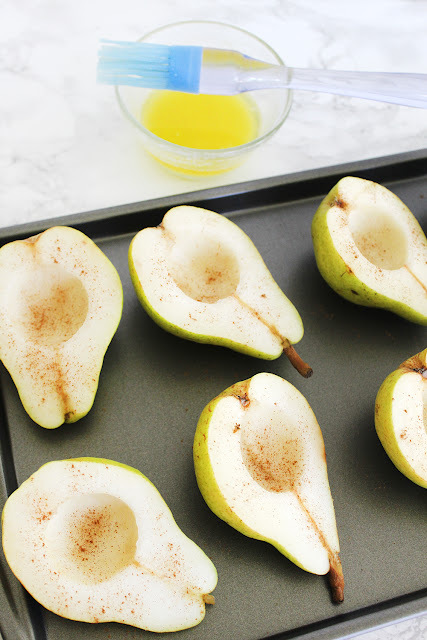 The inspiration for this recipe came when I saw these gorgeous fresh pears in the produce section. They were just begging to be made into a dessert! I shopped at my local Jackson, TN store; See Your Weekly Ad to see what's in-store near you. 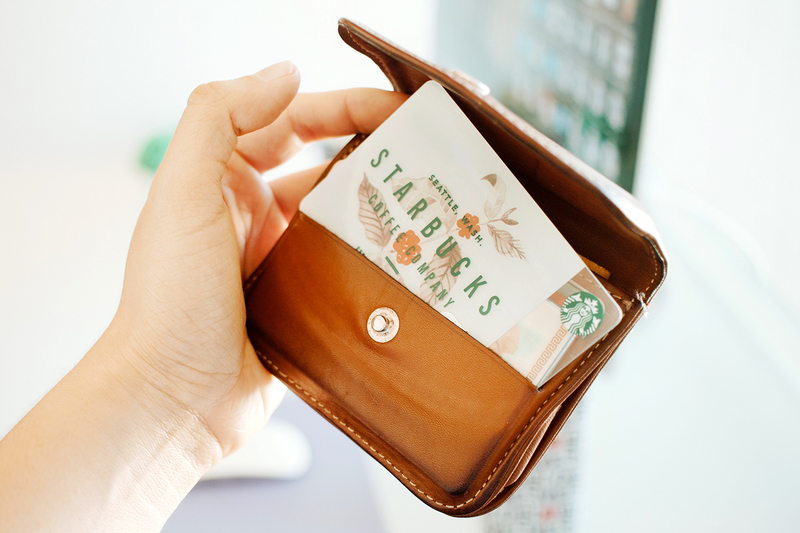 You can also sign up for the Smart Shopper Email Club to get lots of cool savings right in your inbox! These can be popped on a hot grill after cooking the main meal by carefully placing a large piece of heavy-duty foil across the grate. 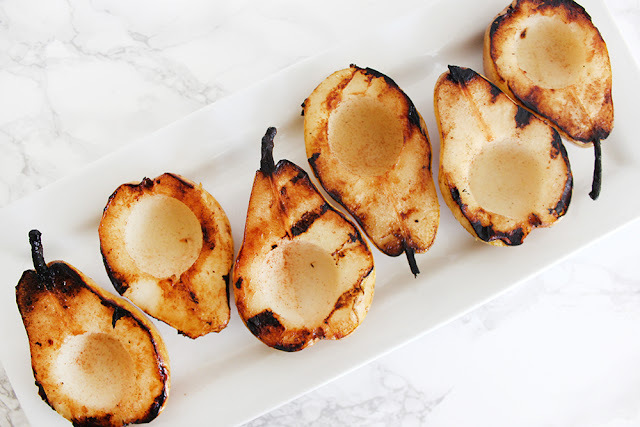 If you need to start the grill for these, bring it to a medium-high heat. 1. 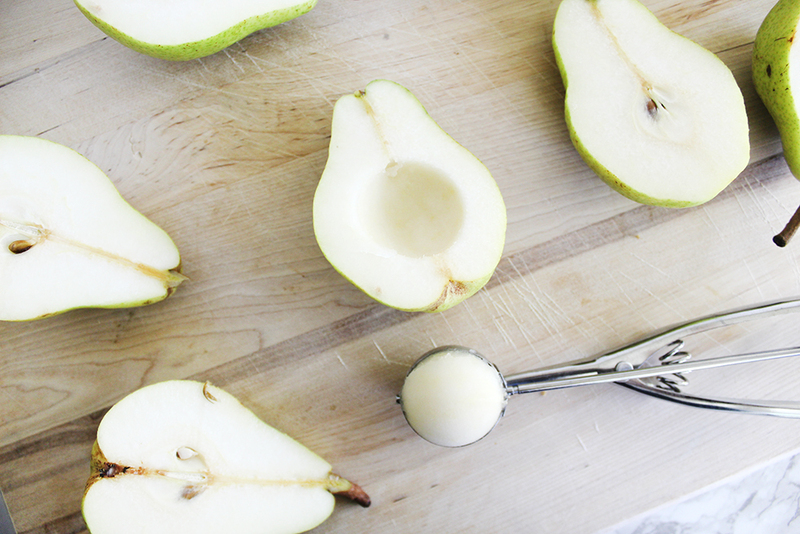 Start by slicing your pears in half and coring them with a large melon baller or a cookie scoop. 2. 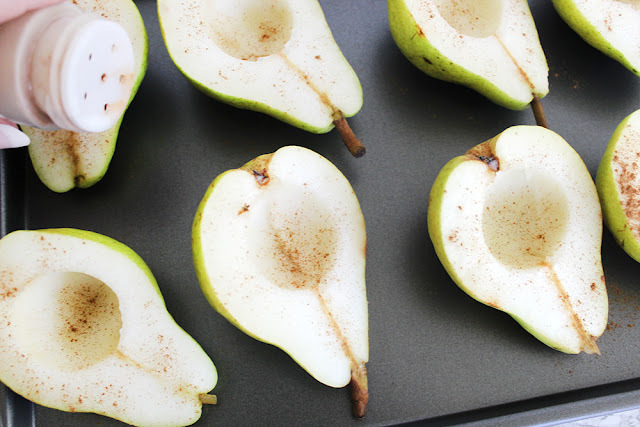 Sprinkle lightly with cinnamon. 3. Brush the cut side with melted butter. 4. 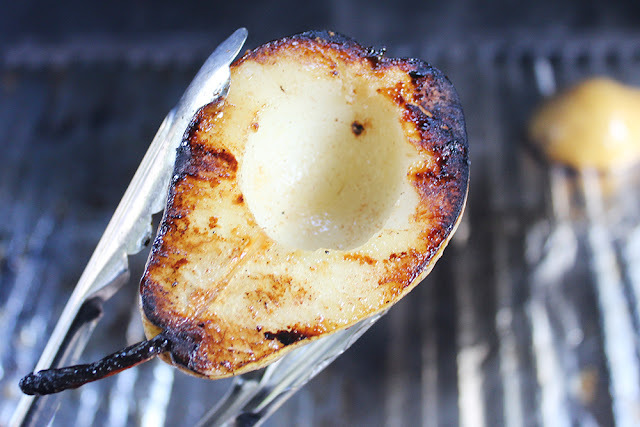 Place cut-side-down on the grill. 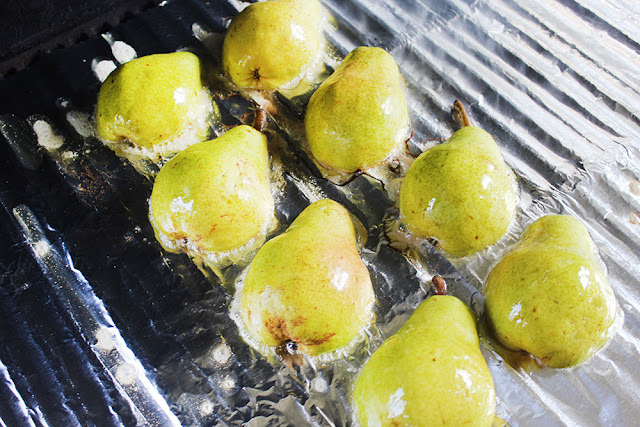 They'll take 5-10 minutes, depending on how hot your grill is. You want the fruit's sugars to be well-caramelized for the richest flavor. 5. 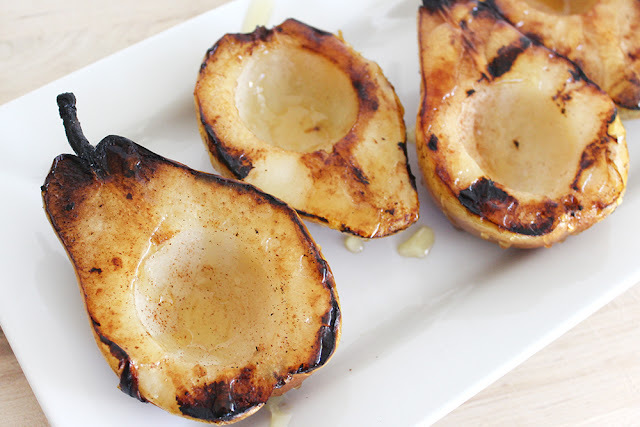 Let the pears cool slightly, then use a knife to take a slice off of the rounded bottom of the pear. This will allow them to sit flat without rocking. 6. Use your melon baller or cookie scoop to place a small scoop of ice cream in your perfectly-sized depression. Enjoy!!! 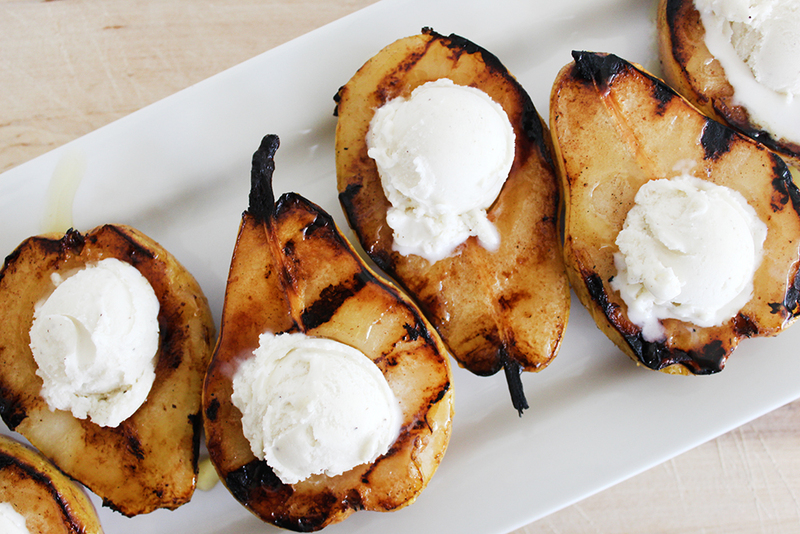 You'll want to serve these warm treats asap! 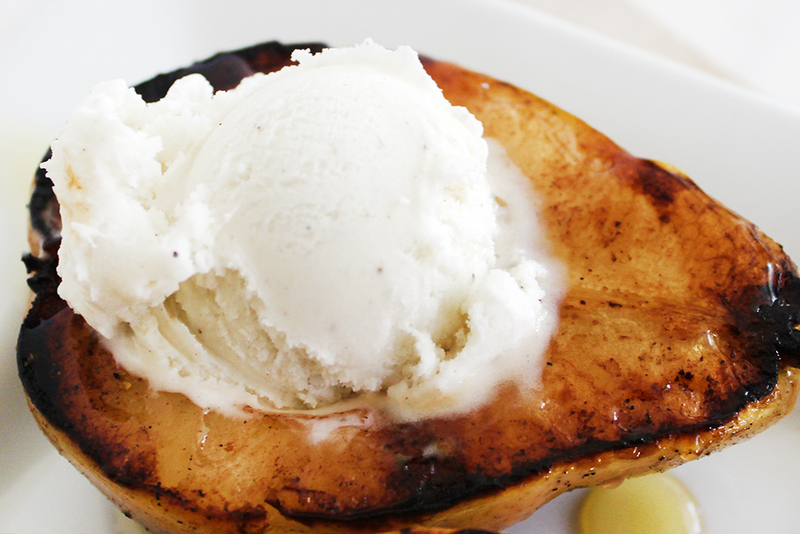 If you're not ready to serve them just yet, wait before adding the ice cream. 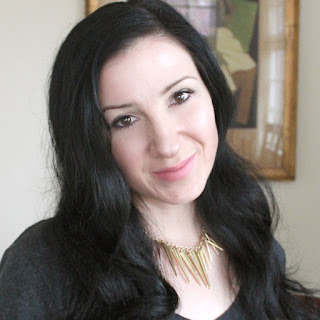 I hope you have a fabulous (and much fresher) Game Day and to help you do that, I'll be giving away $50 in Save-A-Lot gift cards to my readers! 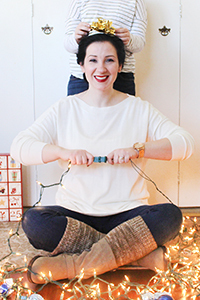 One winner will receive $50 in Save-A-Lot Gift Cards! Enter below and good luck! Giveaway begins on 9/29/17 at 1:00 am CST and ends on 10/20/17 at 11:59 pm CST. Must be 18 years or older, open to US residents only (void where prohibited.) Once winners are confirmed, they will be added to the Winner's List here. What is your freshest Game Day recipe idea? Do you shop at Save-A-Lot?